Self-paced online training is a flexible learning system which enables students to study on their own schedule. Industry-specific training is delivered using visual, auditory and hands-on learning methods. Computer Guided CAD Tutorials – Pre-determined milestones and competency-based progress assist students to stay on-track to successful completion. “Computer – Guided” courses qualify for Autodesk Certificates of Completion from CAD Training Online, and come with Technical Help Desk support. The course is structured to be completed in order from beginning to end. Once any topic is completed, you will have full access to it at any time for one year after registration, to use as a resource. Flexible course delivery allows full access to any area of the course. Because this class type does not have end of chapter computer based assessments, it is not eligible for Autodesk Certificates of Completion, but it does contain all the same content as the Guided version, including the lecture quizzes for your own assessment. Flexible courses are also available to you for one full year after registration. This allows you to find what you need, whenever you need it. The Software & Information Industry Association (SIIA), the principal trade association for the software and digital content industries, announced Global eTraining as one of 31 CODiE Award winners in the education technology category. A SIIA CODiE Award win for ed tech companies is an especially prestigious honor, as each award winner has been selected by a combination of educators, who act as initial judges by selecting finalists from among all nominees, and SIIA member-company peers, who vote to select the winners from among the finalists. “SIIA’s 2014 Education CODiE Award winners’ are some of the most innovative, high-impact education products out there,” said SIIA Vice President for the Education Division Karen Billings. 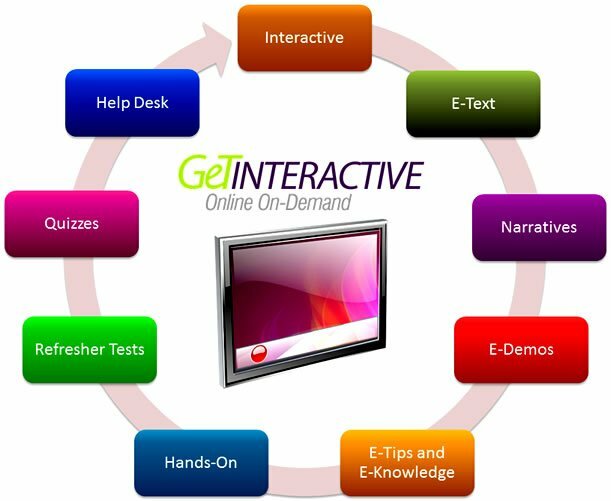 The GeT Interactive training reaches students with varied learning styles through text, audio, demos, exercises, and videos, engaging all the senses and anchoring learning with action. The result is better learning outcomes and productivity gains for its primary customer base of professional software users. It’s one thing to know that simply sticking videos online doesn’t result in effective learning or high retention rates. It’s another to create online training that’s markedly more effective. 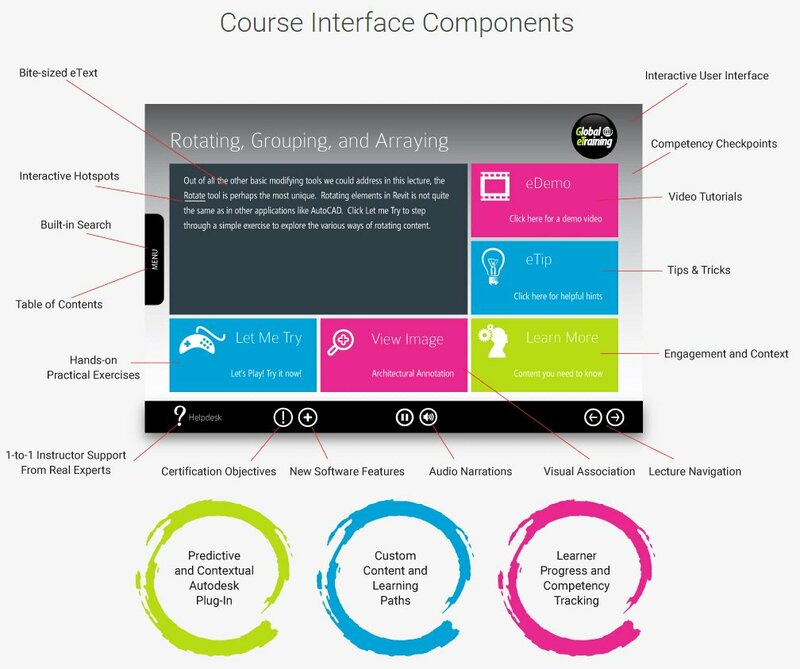 Interactivity: Every aspect of the course requires interactivity with the courseware and software. This increases retention and engagement with the curriculum. E-Text: Allows the client to follow step-by-step instructions to receive maximum benefits from the software. Narratives: All E-Text is explained by an instructor to describe the topic from a different perspective, ensuring learners acquire a full understanding of software functionalities, and engaging them in a different way. 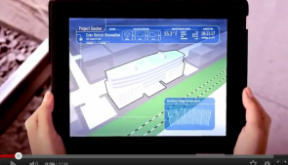 E-demos: Clear, concise and detailed real-time, narrated video demonstrations on how to perform software functions. E-Tips and E-Knowledge: Tips and tricks, best practices and shortcuts, added from the instructor’s experience. Hands-on: Every topic has practical examples embedded. This allows the learner to practice using the software with downloadable class files designed to best demonstrate different concepts. Refresher Tests: At the midway point in every chapter there is a short, unofficial quiz to help learners gauge their understanding of material presented throughout the course. Quizzes: At the end of each chapter there are quizzes which will again test retention of course material and demonstrate competencies. 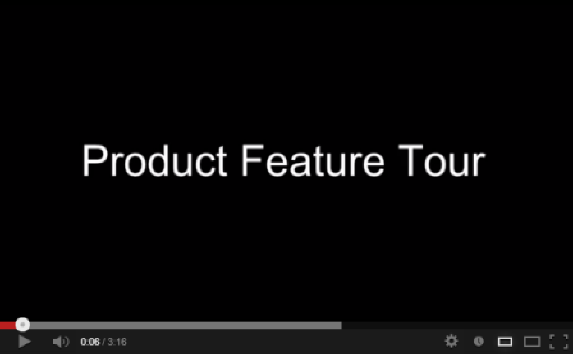 Help Desk: Certified Autodesk software users are available to assist when questions arise. As much as 40 – 60% cost savings. Often less training time required due to only required modules needed or no modules if learner did well on pre-test. Lower attrition and reduced recruitment costs as empowered employees develop the skills they want at their own rate. As much as 25% higher retention rate than classroom training. Rapid roll-out of training. Just-in-time or refresher training. Overcomes barrier of geographically dispersed locations. Interactive, high-retention, all learning styles, support, easy access to information. Safe, secure, fun, effective and cutting edge. Combines the stimulation of instructor-led courses with the flexibility and cost effectiveness of online training. TRAINING IS COMPATIBLE WITH WINDOWS 7, 8 and 10. WINDOWS XP IS SUPPORTED, BUT ONLY WITH SPECIFIC VERSIONS OF THE AUTODESK SOFTWARE. PLEASE ENSURE THAT YOUR COMPUTER IS CAPABLE OF RUNNING THE VERSION OF THE AUTODESK SOFTWARE THAT YOU NEED TO LEARN.